I just discovered you through stylebook and I’m happy I did. Nice outfit! And in love with that white jacket of yours. Das Outfit ist mehr als genial! Dein Stil ist wirklich toll. Sehr schön, aber auch etwas besonderes, was man nicht jeden Tag sieht! An diesem Outfit gefällt mir vor allem der goldene Haar-Kranz. 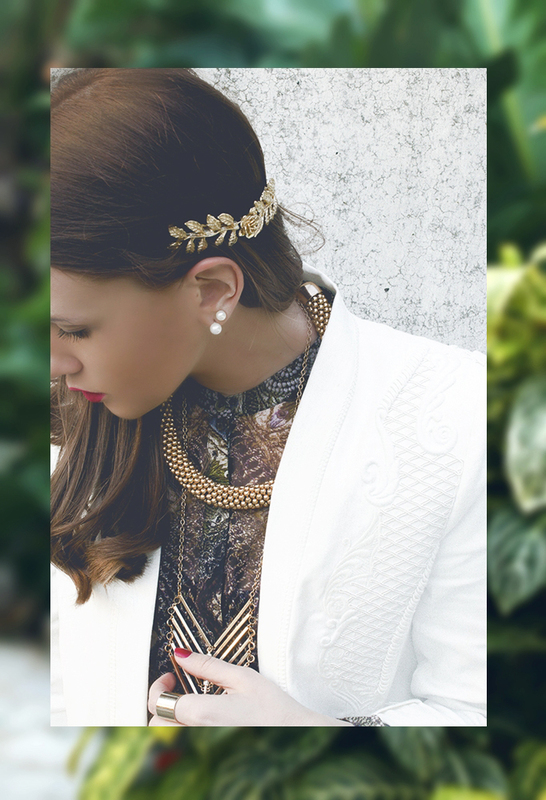 That hair accessory is perfect – but havent seen it in my local Zara.. Love the whole look!!! Longing for Adventure - Warum reisen so wichtig ist!